Could we have Two ROY/MVPs in 2017? The 2017 MLB season will be known as the Year of the Rookie. In the National League, Cody Bellinger is hitting home runs like pop flies for the Los Angeles Dodgers. Despite playing only 57 games (about 10-15 less than most other players near the top of the stat sheet), Bellinger leads the NL in home runs with 24–four more than the next-best player. His 42% home run-per-game rate is the best ever by a rookie. He leads the majors in multi-homer games. All this, and Bellinger is so young he doesn’t know who Jerry Seinfeld is. In the American League, the court is in session in the Bronx, and Aaron Judge is presiding. He also leads the American League by four home runs (he has 26 on the season), and also leads in batting average and RBI. How many rookies have won the batting Triple Crown? That’s right — none. Thanks in large part to Judge, the Baby Bombers are a year ahead of schedule and are tied with the Red Sox for first in the AL East. Both Bellinger and Judge have all but locked up their league’s respective Rookie of the Year titles, barring injury. But could either of them–or even both–make a run at winning the AL or NL MVP? If that comes to pass, it would be the most unprecedented event in a season full of record-breaking performances. Only two players have ever won ROY and MVP in the same year: Fred Lynn in 1975, and Ichiro Suzuki in 2001. Lynn helped propel the Red Sox to the ALCS with a .331 average and 21 home runs (power numbers weren’t exactly off the charts in the 1970s). Ichiro was 27 in his rookie season after playing seven full seasons in Japan; his Mariners posted the best record ever over a 162-game season. My point? The previous two ROY/MVP campaigns were incredible outliers — and we may have two ROY/MVPs in the same season. We still have a long way to go in 2017, and there are host of ways Bellinger and Judges’ MVP campaigns could be derailed. Bellinger is only batting .236/.306/.545 on fastballs, but is raking on offspeed stuff. His heatmap (courtesy of Fangraphs) suggests pitchers could work him inside and low with the fastball to mitigate his impressive power. For Judge, pitchers could keep trying to work low and outside against him and try and get strikes called on the outer part of the plate, where he’s not swinging as much as he is on inside fastballs. A good comparison for both Bellinger and Judge might be Jose Abreu in his rookie season in 2014. 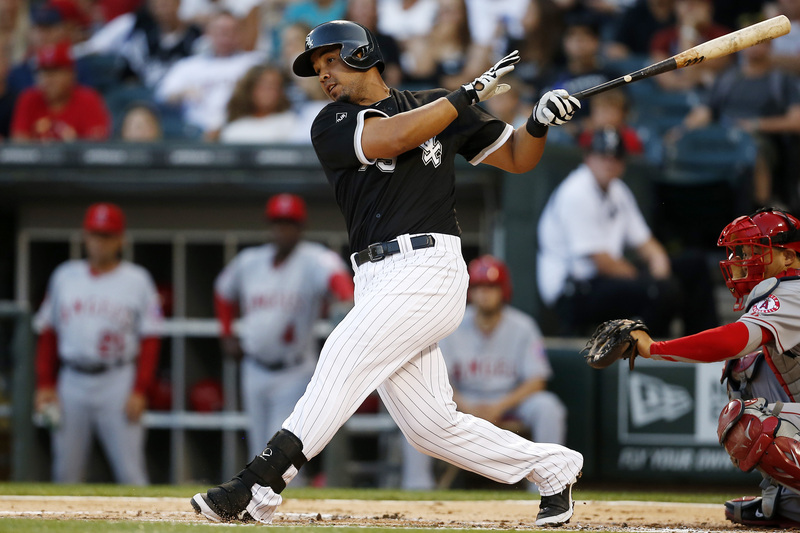 At the All-Star break, Abreu led the American League with 29 home runs. In the second half he continued to hit (.350/.435/.513), but only had seven home runs the rest of the way. He finished fourth in MVP voting that year. MVP voting also is contingent on team success; only seven players have won league MVP without making the playoffs in the Divisional Era. If the Yankees continue to struggle and fall out of the divisional race with the Red Sox, Judge’s case for MVP might take a downturn. The same applies to Bellinger and the Dodgers, especially because they have two strong teams to contend with in their division. Judge probably has a slightly easier path to the MVP than Bellinger. His raw stats are a bit better than the Dodgers’ left fielder, and has a better chance of carrying his numbers throughout a full season with so much raw power in his swing. Judge also rates as a slightly-better fielder than Bellinger (6 DRS to 4 in favor of Judge). The National League also has a more contentious race for MVP with Nolan Arenado, Paul Goldschmidt, and Bryce Harper, whereas the AL MVP looks like a two-horse race between Judge and the currently-injured Mike Trout. It’s safe to expect at least a bit of regression from both Bellinger and Judge in the second half of the season. Pitchers will start to find holes in their swings and exploit them; Bellinger and Judge will then have to respond by addressing those holes and finding ways to put the ball in play. But what if they don’t regress? What if Bellinger and Judge keep mashing dingers and lead their respective leagues in home runs? What if Judge wins the Triple Crown, and Bellinger helps Los Angeles to the top record in the National League? Could we see two rookies crowned league MVPs? In this case, stranger things haven’t happened. Which is why I’ll be cheering for Judge and Bellinger to do the impossible.